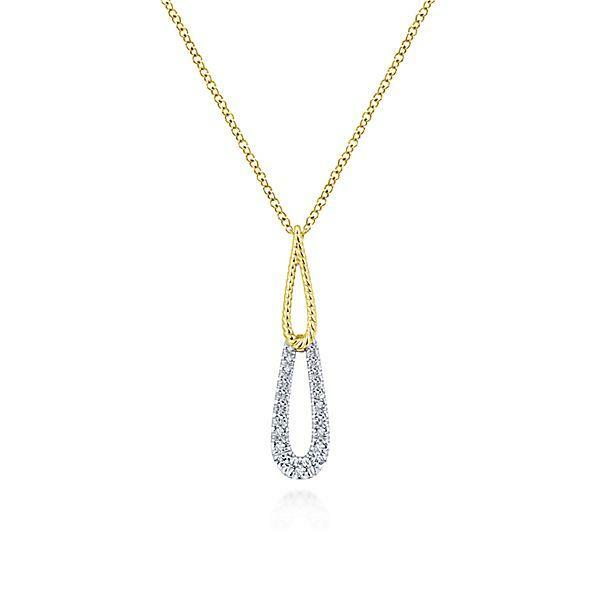 Elegant and refined, this mixed metal fashion necklace featured stacked gold and diamond teardrop silhouettes. 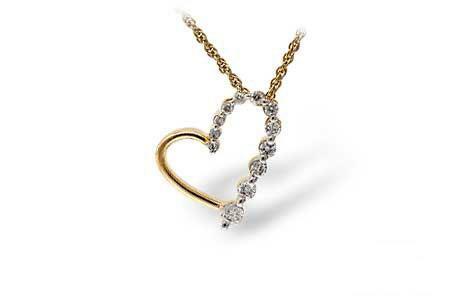 The necklace features .20ct of round diamond melee offering G-H color and SI clarity. NOTE: Necklace is in stock 14k two-toned and can be ordered in other metal choices.